The SouthSmoke.com Refer A Friend program provides you with one of the easiest ways to earn up to 150 Smoke Points for referring friends and family members to SouthSmoke.com. If you've enjoyed the benefits of the SouthSmoke.com Smoke Points rewards program, why not spread the word about SouthSmoke.com and earn extra smoke points while you're at it? With SouthSmoke.com Rewards, it pays to have friends. Invite your friends to join today and watch your Smoke Points balance grow! If you meet the above requirements and would like to submit a Friend Referral request to earn your Smoke Points bonus, click here. 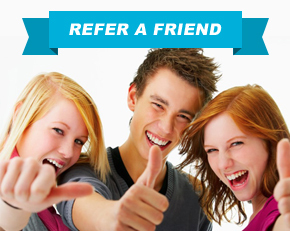 1 Refer as many friends or family members as you would like to SouthSmoke.com. 2 You will earn up to 150 Smoke Points for referring friends, family members, or other customers to SouthSmoke.com. 3 You must have a valid account at SouthSmoke.com and you must have placed an online order with our company in the past six months. 4 The customer that you refer must place a valid online order at SouthSmoke.com and receive the order via the selected postal carrier in order for you to receive your Smoke Points referral bonus. 5 Your referral will also earn Smoke Points for their online purchase at SouthSmoke.com which may be redeemed for free merchandise, including Hookah supplies and retail awards! 6 SouthSmoke.com reserves the right to determine whether Smoke Points are awarded for referring customers.